It is a popular tradition within Judaism to decorate and beautify objects used to perform the commandments, or mitzvot. One of the best ways to show respect for the commandments and show how beloved they are to us is to decorate a Torah scroll with various silver and gold Ornaments. 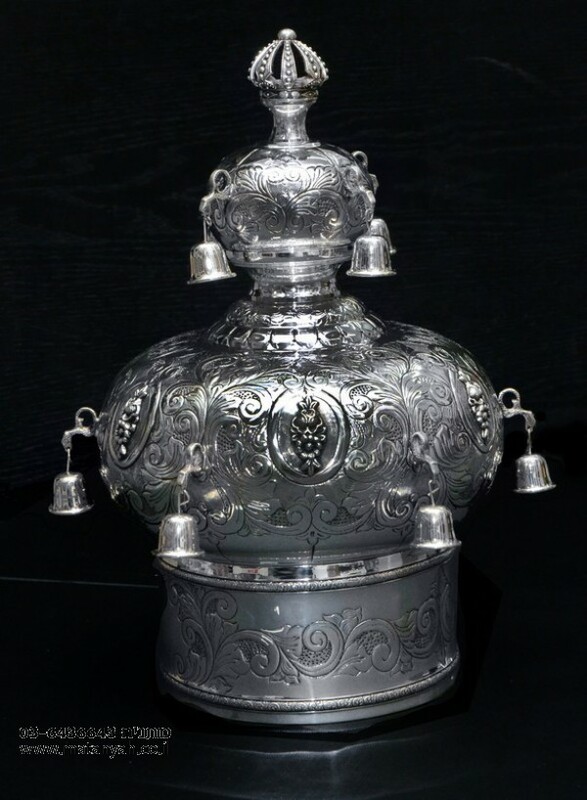 One of the most popular ornaments used to decorate the Torah are silver Torah crowns. Torah crowns are exactly what their name suggests – crowns. We make Torah crowns almost always out of silver with bells hanging off the sides. Inside there are two holes which attach the crown to the top of the Torah. When selecting a Torah crown, the options are endless. Although the Torah crown is almost always made of a precious metal such as brass, copper, silver and gold, almost anything can be done in order to create a beautiful Torah crown. The crown can have sterling silver or gold bells or both if you choose to have both. Some of the most common Torah crown designs have Jerusalem or the 12 tribes on them, with a miniature representation of the Luchot, or Tablets, on top. It is possible to combine all of the together if you choose to. Torah crowns with the 12 tribes on them often have the symbol of each tribe engrave or molded into the crown as well. Other popular designs are simpler and consist of vines and flowers with a verse from the Torah along one of the edges. A Torah crown is a great way to honor a relative or mark a special celebration. You can engrave the date of the occasion or lifecycle event or the name of the relative you wish to honor. How do you purchase a Torah Crown for your Sefer Torah? If the Torah Crown is in stock we will send it in 24 hours or you could pick it up. If the Torah Crown is not in stock, you could order it and we will notify you whiten two weeks.